With more than 20 years of experience in the trade, our principal, Vic, set up the business in 2004 and has been providing high-quality services ever since. 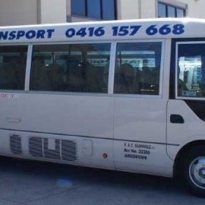 Whether you need a bus charter for a small family group or require a larger bus for a special outing, we can provide whatever you need for an affordable price. 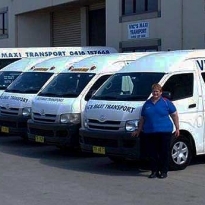 At Vic's Maxi Transport, we can also tailor our services to meet your exact specifications, with a range of comfortable buses available for your convenience. From small vans 10-13 seats, we have something to suit everyone. 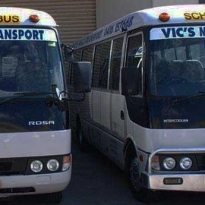 If you’re organising a group outing, then hiring a charter bus is the ideal solution and at Vic’s Maxi Transport, we can cater to your every need. We transport groups large and small, taking them everywhere from restaurants, golf clubs and wineries to theatres and spas. Whether you’re organising a corporate outing for work, or simply want a bus to take a small social group out for dinner, just give us a call. We can provide customised bus charters that suit your exact needs, and we also offer trailers for easy transportation of any luggage, sporting equipment and exhibition/trade show setup equipment. 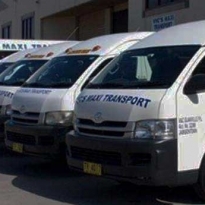 At Vic's Maxi Transport, we provide free quotes for all of our services and guarantee competitive rates for your convenience. We're also committed to providing a fast and efficient service, so you can always rest assured that we'll be on time and will take you swiftly to your destination. Our low-cost service is of the very highest quality and we're always punctual and reliable. If you want bus charters that are delivered by a friendly team with guaranteed safe and professional service, then contact us today.